Few people realize that Thomas Harris, the author, didn’t put this line in the book just because it sounded catchy. Fava beans, red wine, and liver are on the list of things that people with depression and/or personality disorders (like Hannibal Lecter) who take MAIOs (monoamine oxidase inhibitors) can’t have. MAIOs block an enzyme called monoamine oxidase, which is necessary to break down excess tyramine (an amino acid) in the body. Eating high tyramine foods like fava beans while taking MAIOs means that tyramine can quickly reach dangerous levels and can prove fatal. The fact that Hannibal Lecter could enjoy fava beans with liver and Chianti without ill effects was an indication that he wasn’t taking his meds. 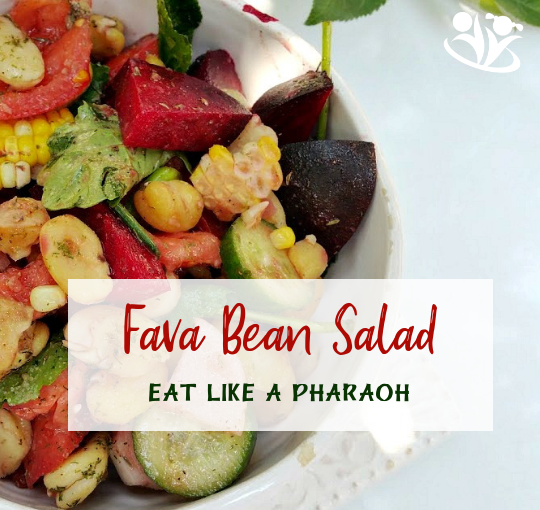 For those of us who don’t have to worry about tyramine, fava bean is a boon. It’s low in calories, high in protein and dietary fiber. It’s good for nervous system function, energy metabolism, strong bones, healthy blood pressure, and for red blood cell formation. 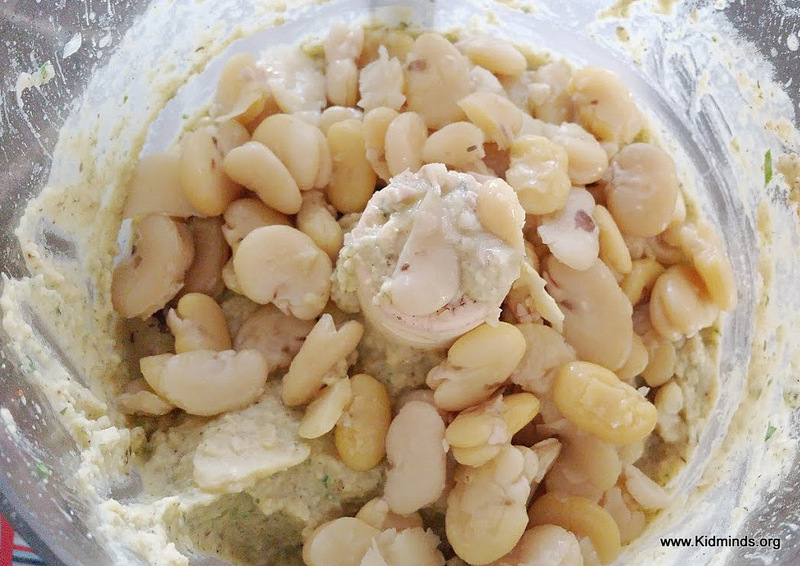 Fava beans are easy to cook. I cook a pound of beans on Sunday and do many different things with them during the week. Three of my favorite things are fava bean dip, fava bean salad, and fava bean soup. 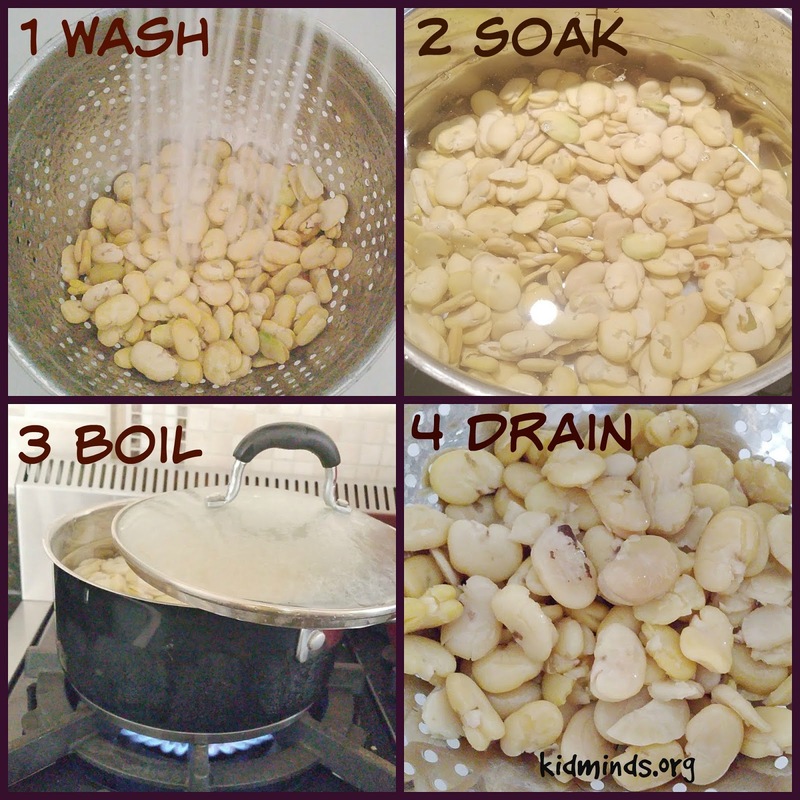 I buy shelled fava beans, then all I have to do is soak them overnight and boil them the next day. 2. Soak overnight in a few inches of water. 3. Rinse and place in a saucepan with fresh, cold water (2 inches of water above bean line). 4. Bring to a boil in a pot with a lid. Once boiling, reduce to simmer. Tilt the lid slightly for steam to escape. It should take 40-50 minutes. You know your beans are ready when they are soft. 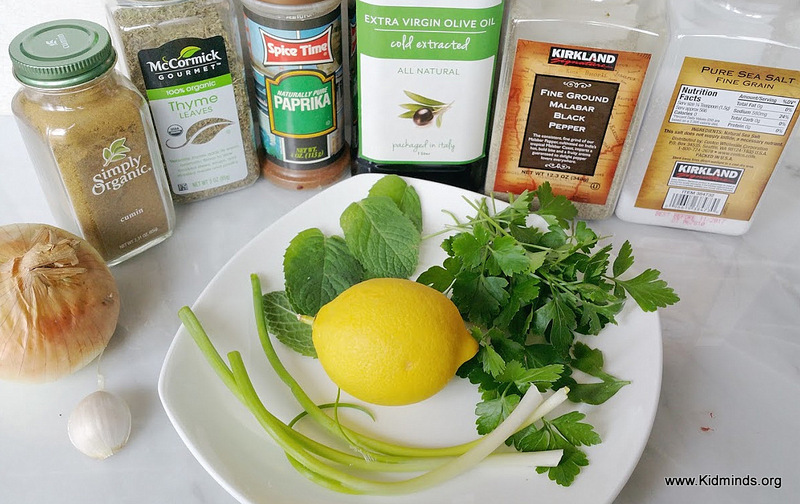 Note: I’m using cilantro, green onion and mint because that’s what grows in my garden right now. Feel free to substitute other herbs. 1. 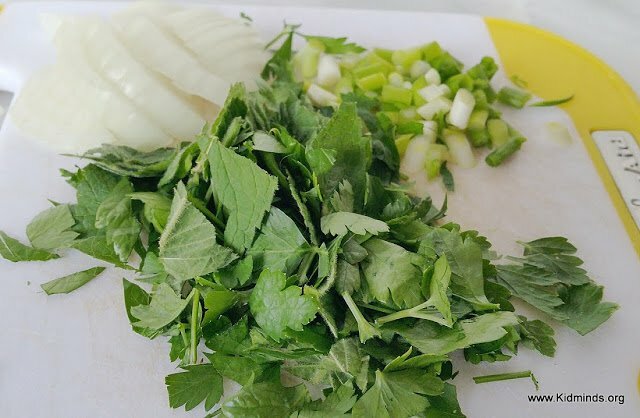 Chop cilantro, mint, onion and green onion. 2. Turn on a food processor. With the machine running, drop in the garlic, cilantro, mint, onion and green onion and process until minced. Add beans, olive oil, lemon juice, cumin, paprika, thyme, salt and pepper. 5. You can sprinkle some fresh cilantro on top, but my kids won’t allow it. 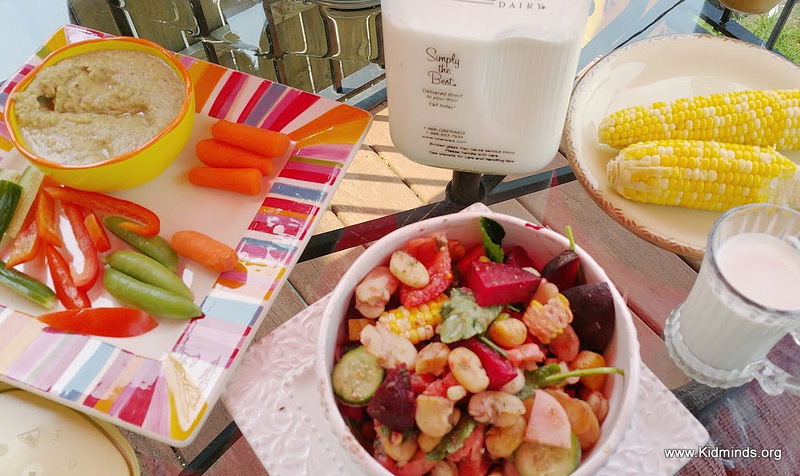 It is especially delicious eaten al fresco. But it’s good year round! Hey Buddy!, I found this information for you: "Fava Bean Dip". 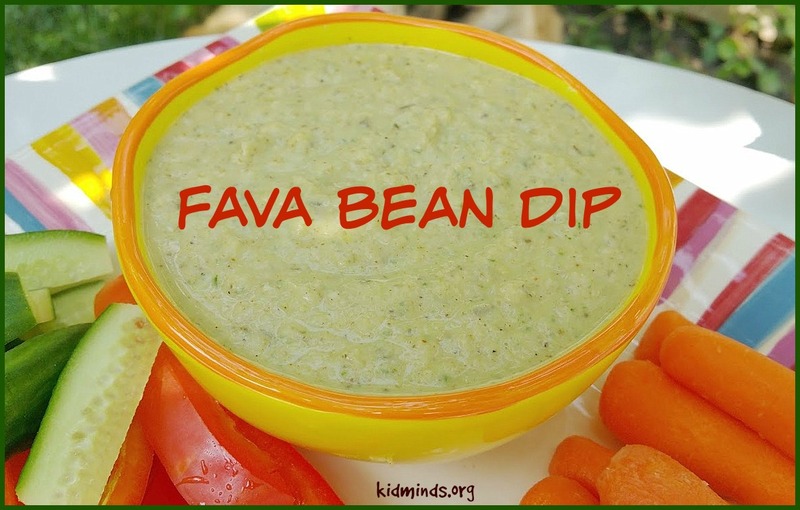 Here is the website link: http://kidminds.org/fava-bean-dip/. Thank you.